I get LOTS of free samples. Honestly, I’ve had to cut back on what I will order for free because it was starting to clutter up my house. I also coupon, so I have lots of cheap to free shampoos, conditioners, and lotions hanging around. I’ve noticed that body wash isn’t free or hanging around just for pennies very often though. Well, maybe if you’re willing to store hop, which I am not. I think you spend more money on gas and time then it’s worth. Personal opinion from a lady with a toddler. So body wash. 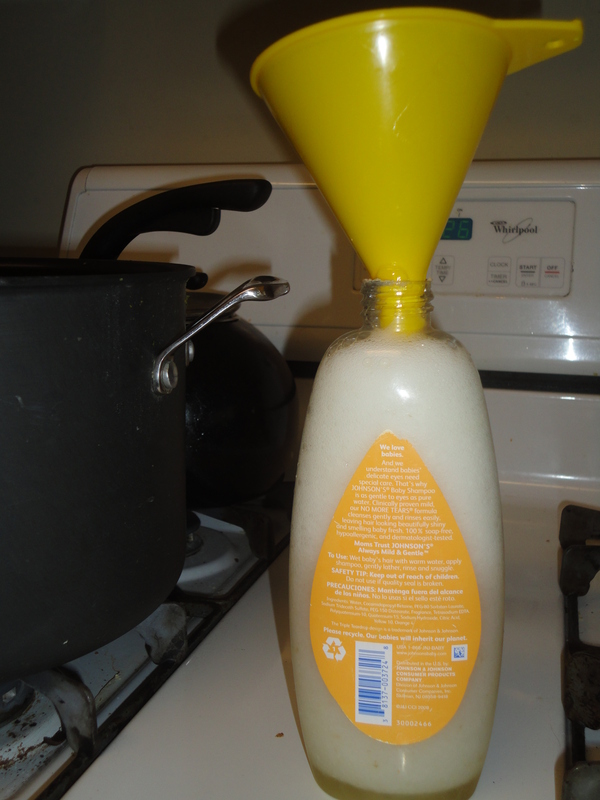 I saw a bar soap to liquid hand soap recipe on pinterest and I thought, why the heck couldn’t I do that for body wash? We currently had a very nice, homemade bar of soap in our shower getting washed down the drain, because you can never quite keep it out of the line of fire. I started googling around, and I mainly followed this blog. It’s the one I recommend because she has fairly exact directions, measurements, and she answers questions in her comments section. I, however, did not measure exactly, but here’s how it went down. 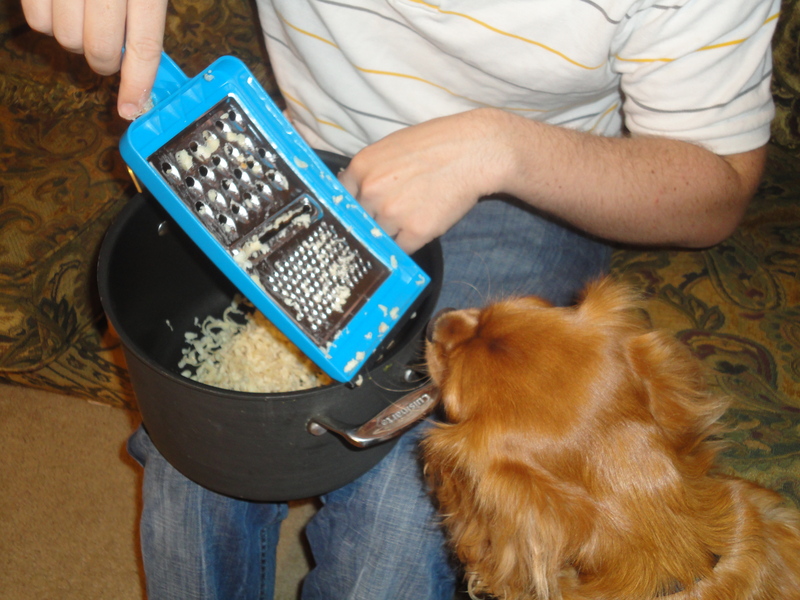 The dog wanted to eat it. Seriously, that’s some good smelling soap. 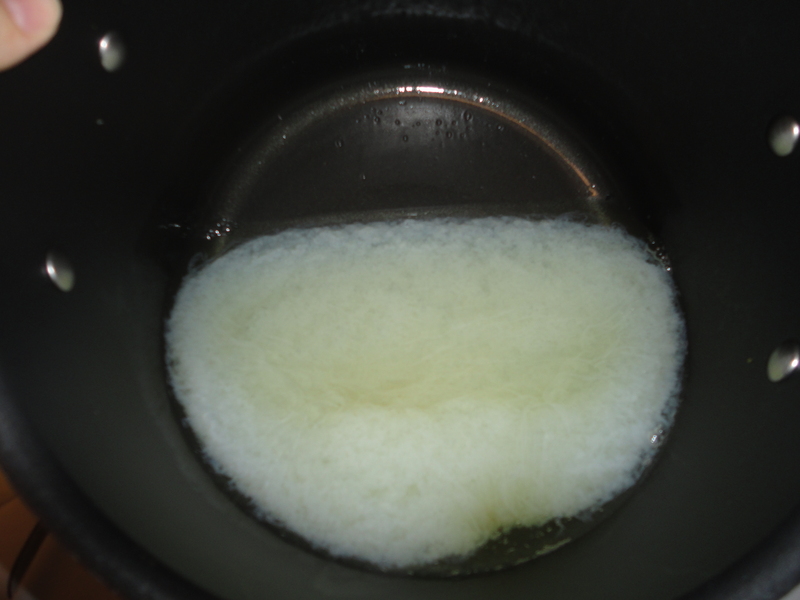 I added about (I think) 8 cups of water, not really knowing how much soap I had in there, and about 1 tablespoon of glycerin. The glycerin was in the pharmacy at publix. About $2 for six ounces, and what did I use, half an ounce? So it will get you pretty far. 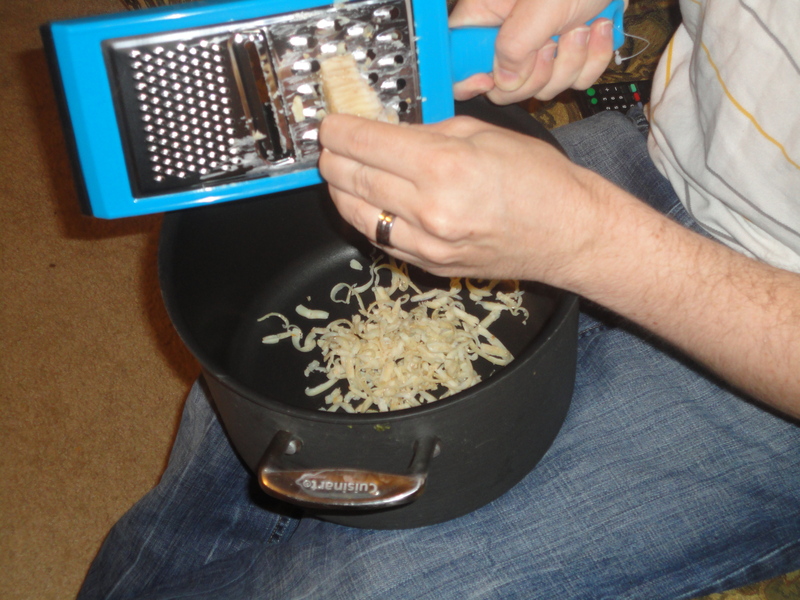 I may have used the grater to stir just a little bit. Once is was all melted, I just turned off the stove and left it over night. It will be more runny than syrup at this point, but don’t be discouraged. It has to be left to cool for at least 8 hours. I’ve read a lot about people having trouble with it coming out in a “snot” consistency, which I wondered to myself about. Well, wonder no more because mine did. This picture doesn’t do it justice, by the way. If I’m being honest, it was kind of nauseating to look at as I moved the pot. It got the seal of approval after its trial run. 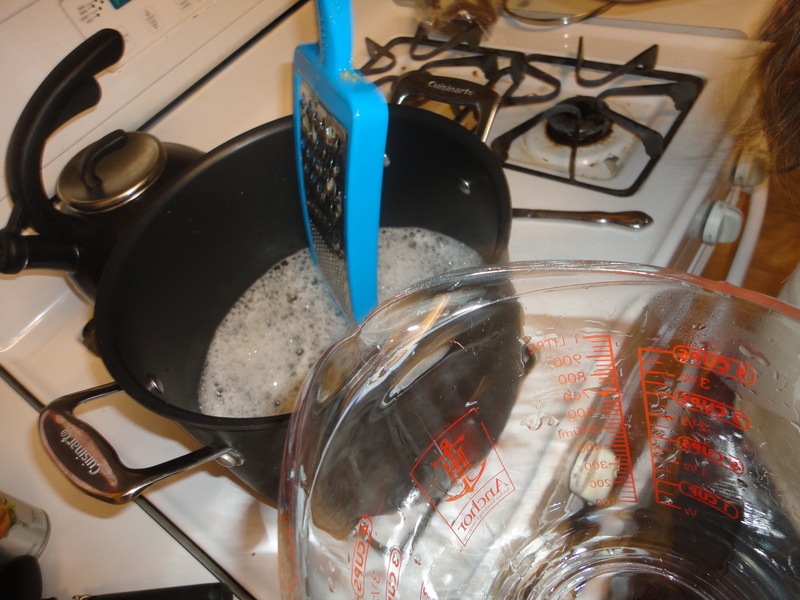 Most people have bar soaps hanging around the house, so we’re talking a $2 investment in glycerin to make ? gallons of body or hand wash. After I’m done with the homemade bars, I plan on using those bars you pick up at hotels. I plan to add a little coconut oil to those because I’m suspicious of them. I cook with coconut oil, so this is another thing just hanging around my house.